Located in the center of Pantopia, Twisted Tails Pretzels features hand-made soft pretzels, including the signature Bacon Pretzel Fury – thick slices of bacon wrapped up in a braided soft pretzel. The location also features several craft beers on tap, along with an assortment of fountain soft drinks and other grab and go snacks. All Day Dining Deal is not accepted at Twisted Tails Pretzels. The Buy One, Get One Free snack offer with the All Day Dining Deal is applicable here. The self-service fountain machines can be used for the free and discounted cup refill program. The location was formerly Sultan’s Arcade, which had a variety of games, and The Oasis, which served up smoothies and other snacks. As part of the addition of Falcon’s Fury and the conversion of Timbuktu to Pantopia, the arcade and concession area were combined and completely renovated to form Twisted Tails. On March 25, 2014, the park released the third in a series of webisodes focused on the construction of Falcon’s Fury. 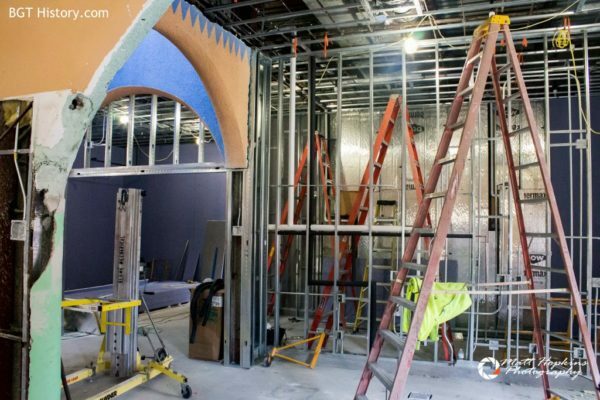 This episode also looked at the progress of other projects in Pantopia, including the recently opened Painted Camel Bazaar and Twisted Tails Pretzels. 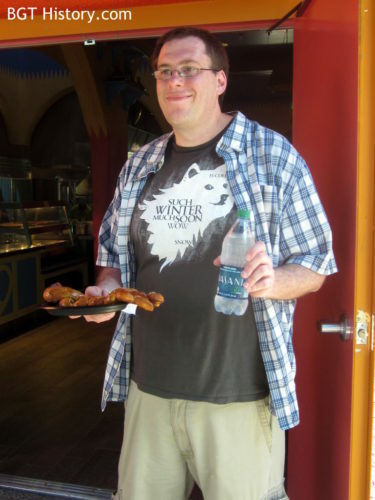 Twisted Tails Pretzels first opened to guests for several hours on April 25, 2014 before beginning normal daily operation the following day. The first purchase made by a guest at the new concession, a Bacon Pretzel Fury, was enjoyed by the author and Shea W., a soft pretzel aficionado visiting from Virginia. 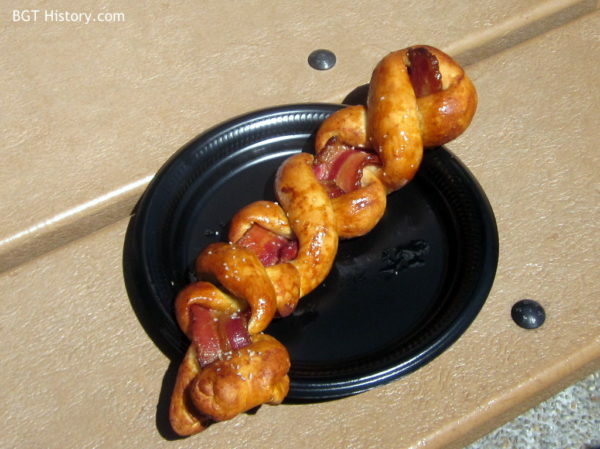 In August 2015, an episode of Travel Channel’s Epic Attractions premiered that included a segment from Twisted Tails Pretzels, where the focus was on the Bacon Pretzel Fury. Show host Chris Perry joined Busch Gardens Tampa’s executive chef Ron Debonis behind the scenes at the eatery to see how the signature pretzels are made. 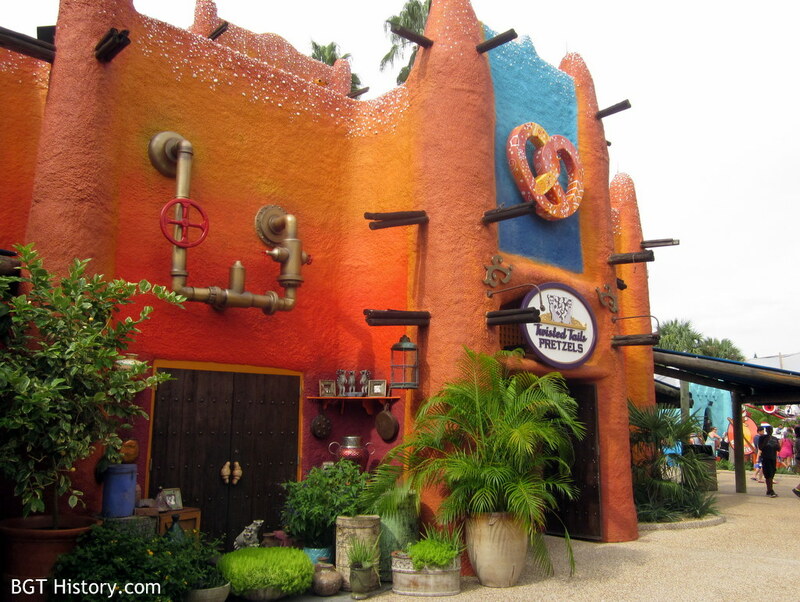 Additional information and images on Twisted Tails Pretzels will be added in the future.